If you are visiting our fair city on a budget, save your dollars for donuts (it is vacation, after all), and fill your days with free, local fun! Photos (from L to R): A big fat Gourdough&apos;s donut, Liz Carpenter Fountain, Umlauf Sculpture Garden, Long Center, peacock at Mayfield Park, Barton Creek in Zilker Park, Long Center, Rosewood Splash Pad. Photos Courtesy of Heidi Gollub. Lounge on the Long Center lawn and take in free live music, followed by a free movie under the stars. The monthly Sound and Cinema series is not to be missed! Stay up past dark to dance in the colored lights of Butler Park&apos;s Liz Carpenter Fountain (or, for littles who need to get to bed early, check out one of these 12 free splash pads). Pack a picnic and head to the Zilker Hillside Theatre to catch a free performance of the annual summer musical. Spend a morning digging for dino bones in the sand at the Austin Nature and Science Center. (If you have a little bit to spend, don&apos;t miss the nearby budget-friendly Zilker Botanical Garden). Buy dinner from Central Market Cafe, let the kids burn off steam on the playground, and stay for the free live music. Explore Natural History at the free (air-conditioned!) Texas Memorial Museum on the UT campus. Take in a free Austin Symphony ensemble concert, Sunday evenings on the Long Center lawn. Visit the peacocks at Mayfield Park and Preserve. Cool down inside 3TEN ACL Live with free live music and food samples at The Wine Down. Paint, climb, and make a splash at Austin&apos;s new interactive children&apos;s museum, the Thinkery. During Community Nights on Wednesdays, from 5 - 8 p.m., admission is by donation (suggested $1). Admission is free on Sundays, from 5 - 6 p.m. Grab a blanket and head to Zilker Park for Austin&apos;s largest free concert series, Blues on the Green. 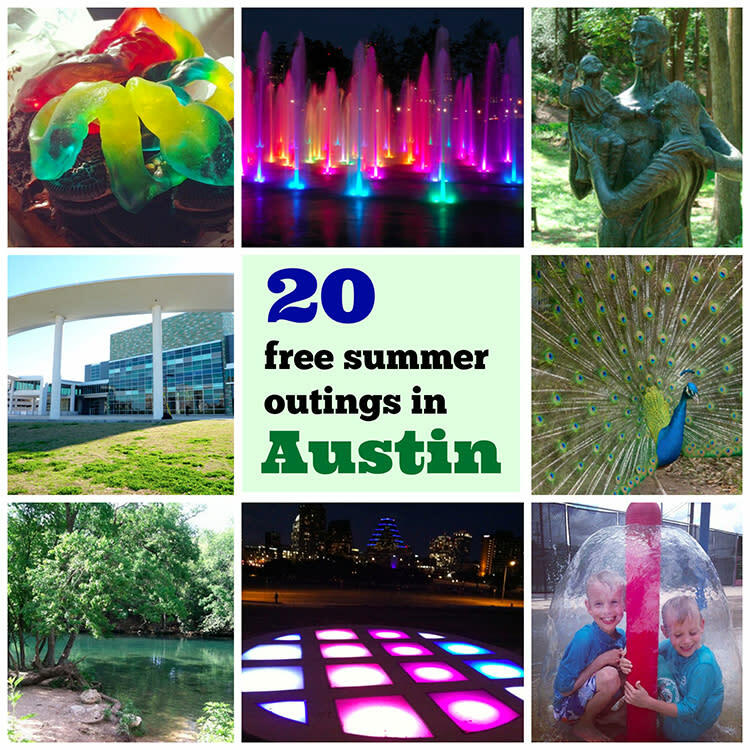 It normally costs to enter, but this summer you can visit the Umlauf Sculpture Garden and Museum for free. Don&apos;t miss the Long Center&apos;s summer programming and shows. Explore Austin&apos;s street art, murals and mosaics, starting with the ever evolving HOPE Outdoor Gallery. You&apos;ve likely heard of Austin&apos;s impressive urban bat colony. But did you know that tens of thousands of purple martins can be seen nightly at dusk, July through mid-August? Take a free tour of the Texas State Capitol and make sure to stop by the exhibits in the Capitol Visitors Center. Visit the new Family Garden at the Lady Bird Johnson Wildflower Center during Summer Nature Nights. Admission is free all day on those select Thursdays this summer. Swim in the refreshing spring-fed waters of Barton Springs Pool. Admission is only free from 5 - 8 a.m. and from 9 - 10 p.m., but it&apos;s quite affordable if you&apos;d prefer to swim during the day! Austin is the Live Music Capital of the World, so don&apos;t leave town without seeing a show. Guero&apos;s hosts free Texas Radio Live broadcasts in their Oak Garden and offers cheap Tex Mex eats! Heidi Gollub spends her days exploring Austin and beyond with five kids in tow. 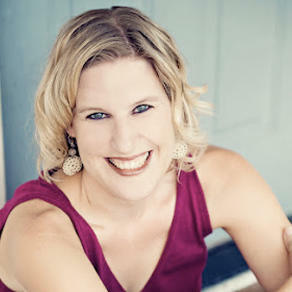 She writes about their adventures on her website, Free Fun in Austin. She also serves as a Local Expert for the Austin Convention and Visitors Bureau&apos;s True Austin program.